Many employers today use the internet to scout for potential employees and to conduct business with applicants. Many are now using sites like Facebook and Twitter to learn more about a potential employee. These employers are also using email to communicate with job candidates. These emails can be used to set up an interview or to get a better understanding of how well a candidate will fit within a certain job description. If you are using email to contact potential employers, there are certain rules that you should follow to ensure that you are sending the right message. Never send an email that could be considered spam. You want to be certain that you are completely professional. This means never sending jokes to a potential employer. Your emails should be as professional as possible and should be formal. You want to present yourself as a serious professional, so use formal titles and signatures whenever you email. Greet them in a proficient manner. Never send out an email that contains improper grammar. You do not want the potential employer to think that you cannot spell correctly or that you do not know where a comma should go. When writing email messages, use the best possible grammar and then go over it again, proofreading carefully just to be on the safe side. If you are unsure of your spelling or grammar, use a spellchecker or have someone proofread the message for you. You should also avoid sending lengthy messages. Get to the point straight away and leave out long words that you think make you sound more intelligent. Employers prefer a message that is clear and to the point without all the fluff. Keep in mind that it is very difficult to judge a personâ€™s tone when they are writing. You have to be very careful that you do not use the wrong tone in your email. 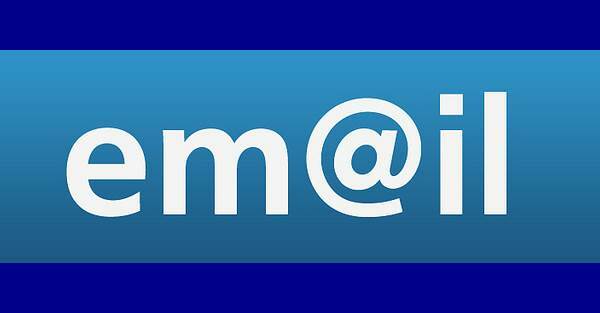 Using capital letters too much in your email conveys a message of shouting or urgency. Take care when writing and choose phrases that can only be understood in the way that you intend them to be read. What is more, avoid using any slang or other language that your potential employer may not understand. Keep your sentences as short as possible and straight to the point. The longer your sentences are, the easier it could be for a potential employer to misunderstand what you are trying to say. It is perfectly acceptable these days to email a potential employer about a job vacancy. How you email, however, is very important. You want to make a good impression on the person, so choose your words carefully and ensure that your message is easily understood. Email is a convenient way to communicate with potential employers, but only if you do it properly. Not paying attention to what you are saying or not proofreading could mean not getting the job that you wanted. This article was written by All The Top Bananas, offering expert advice to job seekers and employers. Find a wide selection of London retail jobs at All The Top Bananas.